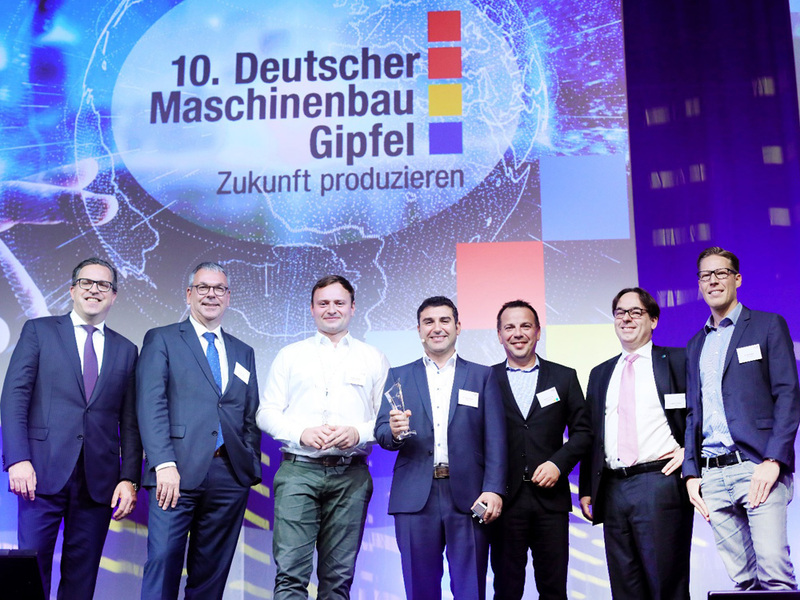 endiio won the start-up award at the 10th Deutscher Maschinenbau-Gipfel! The summit took place on the 16th and 17th of October 2018 in the magnificent Maritim Hotel Berlin. There, endiio presented the digitization solution – the retrofittable and self-powered sensor platform for digitized condition monitoring. endiio creates solutions to the challenges of mechanical engineering and makes machines and plants ready for IoT using the endiio retrofit solution. During this year’s summit endiio focused on retrofittable and maintenance-free operating time detection as well as condition monitoring for OEE analysis and predictive maintenance. Right (picture 1), middle (picture 2): CEO Dr.-Ing. 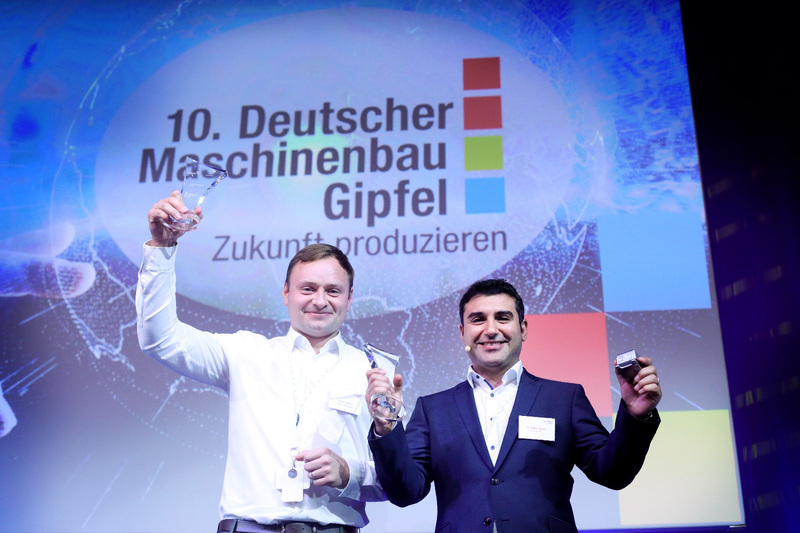 Tolgay Ungan with the start-up award and the endiio Retrofit Box.